Following James T. Hodgkinson’s attempt to kill “as many Republicans as possible” as they practiced for their annual softball game against Democrats on a ball field in northern Virginia Wednesday morning, reporters looking into the former Belleville, Ill., resident have identified a political pattern — namely, that Hodgkinson was a huge supporter and former campaign volunteer for 2016 Democratic presidential contender Sen. Bernie Sanders. That’s an important point to make for a number of reasons, not the least of which is that far-Left Democrats and their journo-terrorist friends in the “mainstream media” are directly responsible for excusing, fomenting and encouraging violence against anyone who supports President Donald J. Trump and Republicans in general. But it’s also an important point to make because this guy has a well-established connection to Sanders and to the far Left, and yet he took out his anger on Republicans. So I get it: He doesn’t like Republicans. Fair enough. But what’s odd about this — and why I have often said that Alt-Left Democrats have no hypocrisy gene — is because, for all of his anger and hatred of the Republican Party, it was the Democratic Party that cheated his chosen candidate in the last election cycle. Remember? 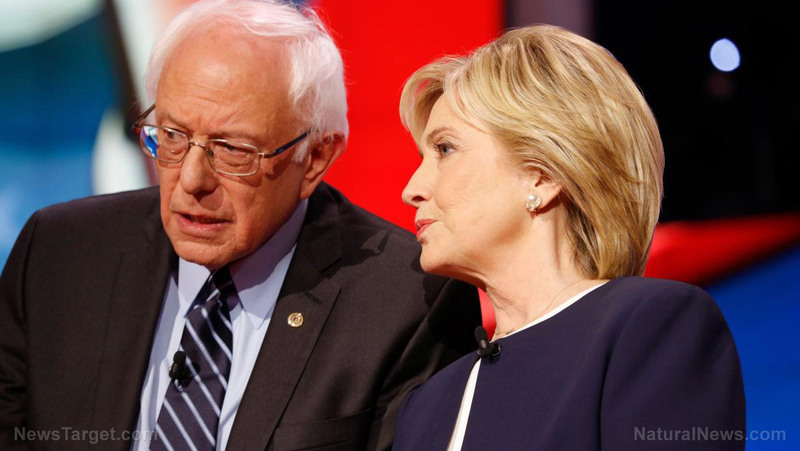 Several documents and emails leaked by WikiLeaks during the primary and campaign seasons last year proved that the Democratic National Committee had the fix in for Hillary Clinton, while its operatives did all they could to hijack the nomination and shut Sanders out. 3) There has been some questionable fundraising both for the DNC and the Clinton campaign. So devious was the DNC’s behavior that a number of Sanders supporters are suing the organization, alleging a breach of its own rules regarding the presidential nomination process. But what’s really amazing, as The National Sentinel reports, is that in court papers the organization’s attorneys essentially admitted they screwed poor Bernie over. So what drives someone whose candidate got back-doored by his own party to hate Republicans so much? Why not be upset at the DNC? Only someone who knows not what hypocrisy is can answer that.